Ah, the mid handicap zone. Without a doubt, when I'm choosing my betterball partner, there's no better man than a mid handicapper! You hit the ball straight down the fairway, you can chip, you can putt and you can make those amazing pars and birdies at the perfect moment. 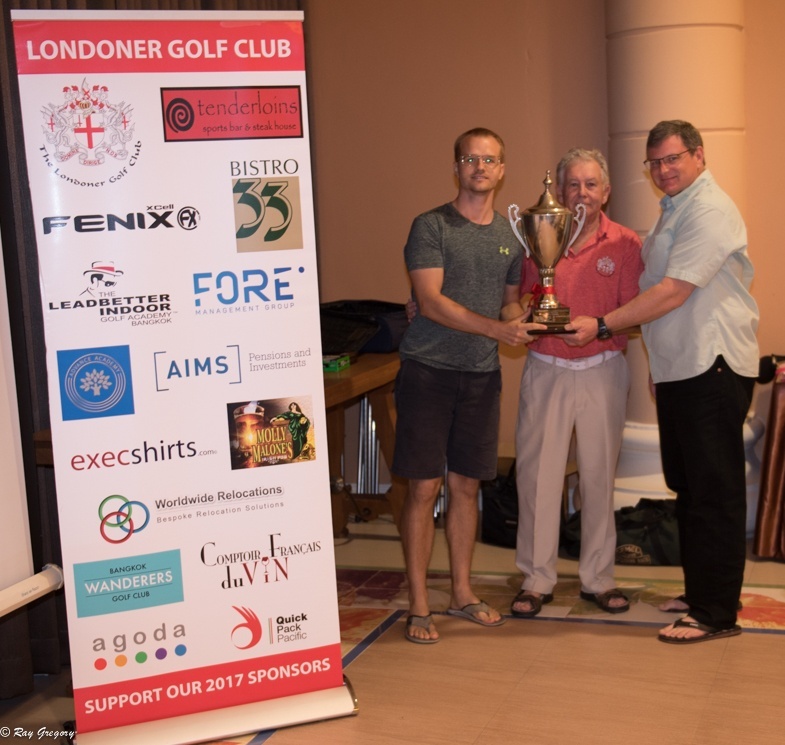 Mid handicappers are always in the prizes and I play a lot of golf with mid handicappers. What I've noticed though is hitting greens is often a concern especially as the holes get longer. We all want to hit longer with our irons but also we want it to go straighter to make more of those coveted pars and birdies. With modern technology, the best golf irons for mid handicappers make it WAY easier to hit straighter and longer. What is a mid handicapper, actually? A mid handicapper is a golfer who plays off a handicap between around 7, 8 or 10 up to about 17 or 18. That means you can generally break 90 every other round or shoot in the 80's every round. It's a wide range but the goal is always the same, break 90 consistently or break 80. There's no hard and fast rule on the classification of low, mid and high but we all know roughly where we fall. I have two theories for when the right time is to buy new golf clubs. Half your clubs are irons and you'll use them for more than 50% of your shots on the course so when you look down at them and you don't LOVE them, then there is a serious problem. If you've seen my Youtube channel, you'll know I am all about that mental game. If you look down at clubs that fill you with confidence, you've won 70% of the damn battle! There is no award for the guy who struggles with clubs he dislikes to prove it's the workman and not the tools. They say a bad workman blames his tools, but I say a master craftsman knows when to replace them! If you look at a picture and LOVE the look or hold a club and LOVE the way it feels, I will bet you that you'll hit that club like a boss, immediately. Our brains are very powerful and in golf, it's especially important to be comfortable over the ball. If you're not loving your irons at address, I really suggest replacing them. Now. Now, I don't believe most of the BS lingo and catch phrases the manufacturers throw at us every few months with the latest and greatest. But one thing I can personally confirm, is that anything made in the last 6 to 8 years is far superior to anything prior. Modern irons have been designed to launch higher than ever. For example, an old 6 iron's loft was maybe 28° so it was easy to get it in the air. With modern technology, they've been able to reduce that loft to 25° or 26° so you get more distance but at the same time the ball still launches at the same angle as the old 6 irons. That means you can get them landing a few yards further with an improved trajectory into your target. They've also made shafts lighter to get you swinging faster and improved the club faces of the new irons to increase the sweet spots so you hit it longer and straighter even off mis-hits, very often not knowing the difference between a good strike and a bad one. Taylormade make such easy to hit clubs that even when you're not trying, they're a breeze to hit. The latest iteration is an improvement on their most popular line, the M2. Much sleeker in design and more formidable ball-striking. The M4 upgrade of the M2 irons is a much sleeker, more professional looking club. But don't be fooled into thinking this is a club only a pro can hit - in fact it's almost effortless to get the ball up in the air and on target. It's difficult to hit a ball far off target with the M4s which brings real meaning to game improvement iron. The sweet spot is so big that it's difficult to distinguish when you hit it badly. Of course, there is some distance loss and some deviation from your intended line but you'll be around the green hitting easy chips instead of getting yourself way right or left of the greenside bunkers, short-siding yourself. Longer irons in the set have a deeper cavity back with a small hollowing behind the face to get more distance and forgiveness on center and mishit strikes. They come standard fit with a light weight shaft to make swinging them effortless despite the aggressive and thick top line of the club. The lofts are stronger in this set and keep in mind the SW is 54° when picking your wedges to go with the set. You might consider a 58° to round off the set to give yourself a good loft gapping. You will probably see a distance increase but it will be due to the more upright lofts and less to do with other variables. They can decrease lofts on the clubs because they've produced them so well to come out higher and easier to get off the ground. Simply amazing technology that just wasn't around years ago. Lofts of the clubs printed on the bottom so you can buy the right wedges and hybrids! They're way more famous for high quality wedges made for mid to low handicappers, but Cleveland have designed a set of irons aimed entirely at the average mid handicapper to boost distance while at the same time dishing out ample forgiveness. The Launcher CBX irons give the best of both worlds by making it easier to hit longer irons and have more control over the shorter clubs. While not massive on Tour as much as when Vijay and David Toms played for them, Cleveland have remained a favorite among us mere mortals especially the easy to hit drivers. The top line of the club is quite hefty but the offset in the longer irons looks minimal so it looks very professional. A V-shape sole promotes the club moving through the turf to give rock solid hits even if you hit it a little fat. 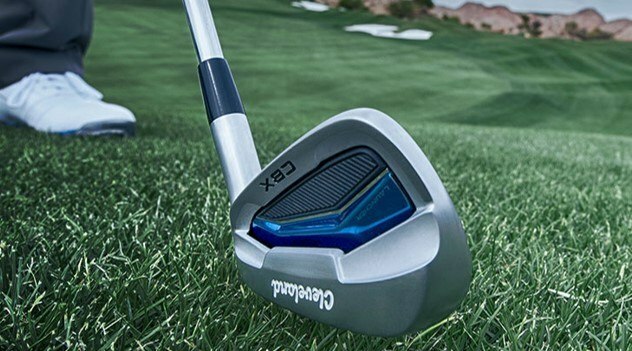 The Cleveland CBX irons have a much larger cavity back in the long irons for more forgiveness and a larger sweet spot and as you progress to the shorter irons, the cavity back reduces for a more control-based feel to knock it close. Most golfers notice an increase in distance anywhere from half a club to a full club with this set and it could be down to the stronger lofts. Cleveland actually engrave the degrees of loft on the sole of the club - a nifty idea indeed. Matte finish means scratches are much more pronounced. The upgrade to the Mizuno JPX 850 is forged and has a more U-shaped sole for less digging in the turf interaction. As always, Mizuno forged irons are buttery soft but what's normally reserved for the better players is available to anyone now. You'll be able to shape the ball both ways with these. there are a lot of mid handicappers who were once single figures who still like a fade or draw into a tight pin. There's still hope out there my good man! What's special about the Mizuno JPX 900s, is that one you move south of the double digit handicap, you'll still be playing these clubs. They're timeless in design and with all the latest technology coming out being not-much-different to the previous one or two years, these will serve you a long time. They have the look of professional style clubs with more forgiving and bigger clubs heads in the long irons and more compact shorter irons for precision shots. 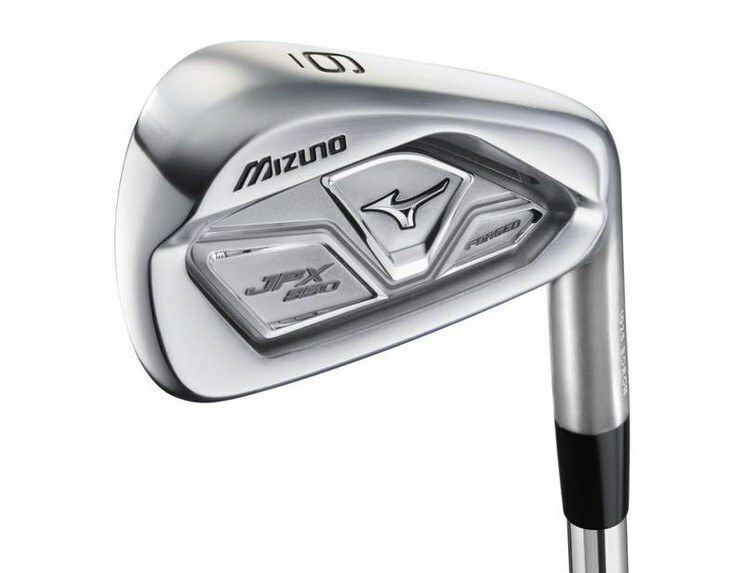 They have a tiny bit of offset so if you prefer a more classical style head but with massive forgiveness, the Mizuno's cater to you. Most Mizuno users are Mizuno users for life and you'll very rarely find a second hand sets being traded in by someone who hates the clubs. The Callaway Rogue irons are aimed at mid handicappers and they've made these irons as close to a true point-and-shoot as you'll find. The face flexes and rebounds more than previous models which results in a much longer ball. Some golfers find a gain in distance of one club. What's more is that you have a choice of sets where you can choose which clubs to include in your set and Callaway has been well-known for this customization. The sound from the club face is crisp and clean. Differentiating between mishits and sweet strikes is a little difficult but when the result ends up where you want it, that's a minor complaint. When we're all looking for more accuracy and greens in regulation, the Callaway Rogue irons deliver with effortless smooth strikes from the entire club face coupled with a high and straight ball flight. Are they miracle clubs? No, but if you have a smooth swing and are a well-grooved and consistent mid handicapper, these are the perfect clubs to start getting closer to the number 79 with a bit more distance and better direction. 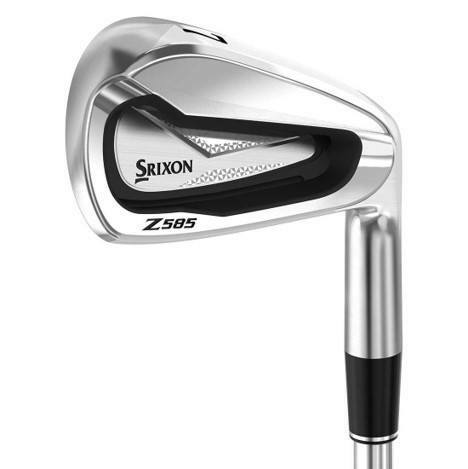 The Srixon Z 585 irons might not be on your radar, but they should be. This range has been aimed at the mid handicapper who likes shot shaping and forgiveness in one package. The best part is they will last you even as a low handicapper. I went on a recent trip to South Africa and the number of guys playing these was amazing. Every fourball had one or two bags of Srixon z 585's. You can see me playing the back 9 with them here. The clubs have a formidable but not bulky sole as well as a deep cavity back to help shift the center of gravity lower and move the sweet spot down in the face to get even crisper contact on the ball. Srixon have made these clubs look easy to hit when you look down at them, but they're not oversized at all. 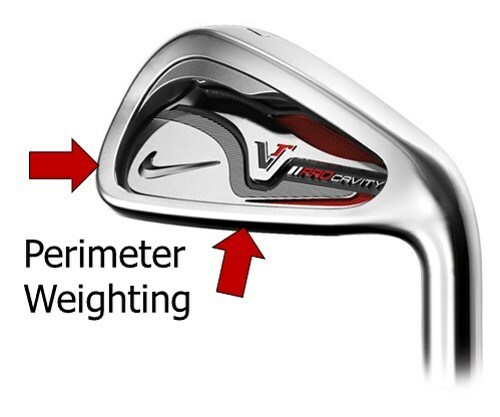 If you're worried about your clubs looking very chunky, these ones will quell your fears. If you can get them with the NS Pro shafts in them, you'll have a great time with these clubs. If you want to save a few bucks, the previous model is almost as good. The Srixon Z 565 are superb. 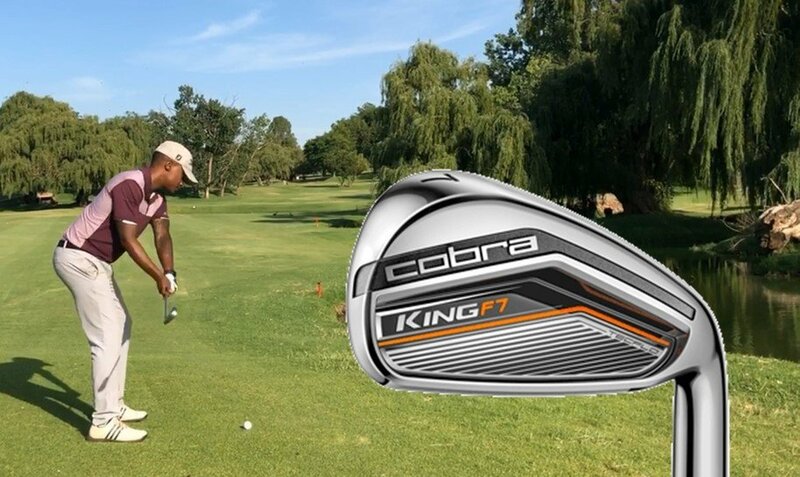 Cobra King F7 irons are definitely game improvement irons but have a much more mid-sized club heads. 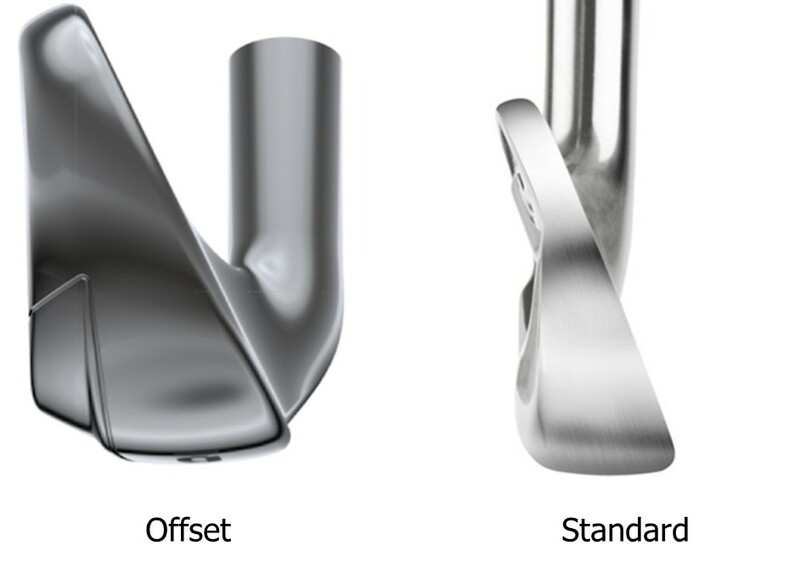 The top line when you address the ball is not as chunky as most game improvement irons. Like with most of the new irons in this category, they've made the club face thinner to promote more ball speed off the flexible face to hit it longer. The best part is they are a model or two old, so you can pick them up for really cheap both new or used. Find your preferred shaft stiffness and order online for major savings! You can see Tshepo using these irons in my video here. Longer irons in the set have a more hybrid appearance with a hollow area behind the entire face and as you go through to the short irons and wedge, the cavity reduces in size. You can expect to improve those mid irons greatly with the design of the cavity back. They're far more forgiving than other golf clubs. The lightweight of the clubs can help your swing speed enough to prevent you from moving to softer shafts. 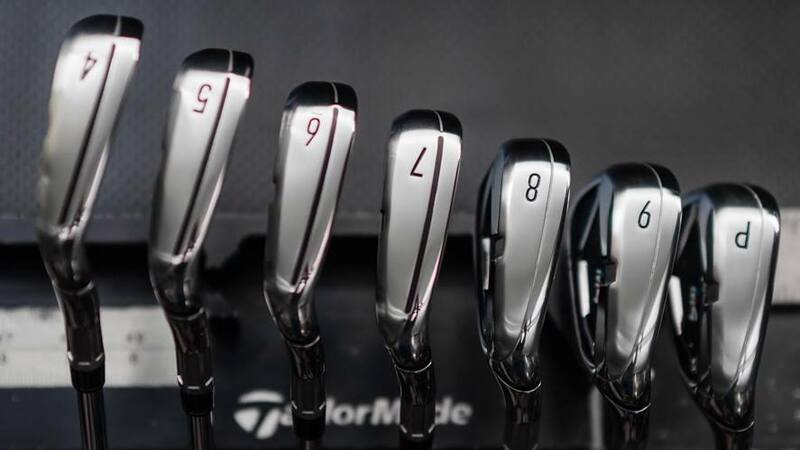 Taylormade have gone the extra mile with the M2 Game Improvement irons. They’ve created a hollow Speed Pocket behind the face to make the face flex and give you more distance anywhere you hit it on the face. The sweet spot is so wide; it extends over almost the entire groove area so when you mishit the ball it still goes a long way and straight as an arrow..
Taylormade has designed the M2 iron set with forgiveness in mind. They're extremely accurate irons and with the offset hosel, cavity back design, they tick all our boxes. The M2's are one of the best mid handicap irons on the market. 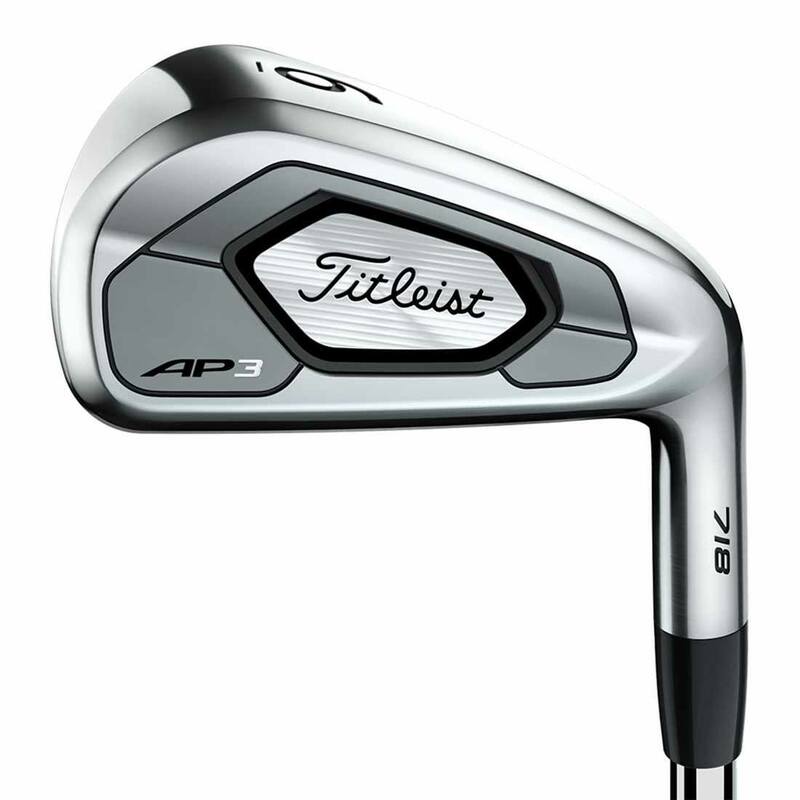 Titleist made these irons heads bigger than the AP1 and AP2 range so they appeal to the mid handicapper a little bit more. 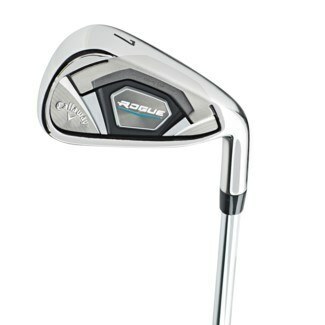 Though to be fair, the top line of the club is not so FAT, but quite thin and definitely appeals to the eye of someone who likes a more classic iron rather than the beefy game improvment irons out there. They look a lot more like a "players" iron but they have the backs of a mid handicapper iron where there is a hollowing out and a small cavity in the back. The result is more forgiveness and also some additional distance. So many players are getting these and the best part is they will serve you well as a mid handicapper and you won't have to get new clubs when you eventually become the single digit handicapper you're striving for. What's the difference between irons for mid handicappers and low handicaps? Most sets nowadays don't come with a 3 or even a 4 iron because they're difficult to hit and are usually replaced by fairway woods and hybrids to complete what should be the best golf clubs for mid handicappers. Low handicap golfers believe they need a more 'professional' style of club so they upgrade to a set of musclebacks or blades. Avoid any golf iron that has "muscle back", "MB", "blade", "Tour", "players irons" or "pro" in their name unless you really LOVE them! Generally I don't think anyone who plays less than 3 times a week or isn't off a single figure should buy blades. But as mentioned above, if you LOVE them and BELIEVE they will improve your game, guess what! They probably will, just through positive association. When you hit more greens, you're going to love going to the course. Once you know where the ball is gonna go, you'll aim at your target with confidence. And when you hit it closer, you'll make more pars and birdies and in the end drop that mid handicap into the single digits. There's just no need to go get yourself a "player's iron set" or a muscleback or blade club because it's expected of you as you get better. The technology out there is so powerful now, while the musclebacks have remained almost identical since Arnold Palmer was a young guy. 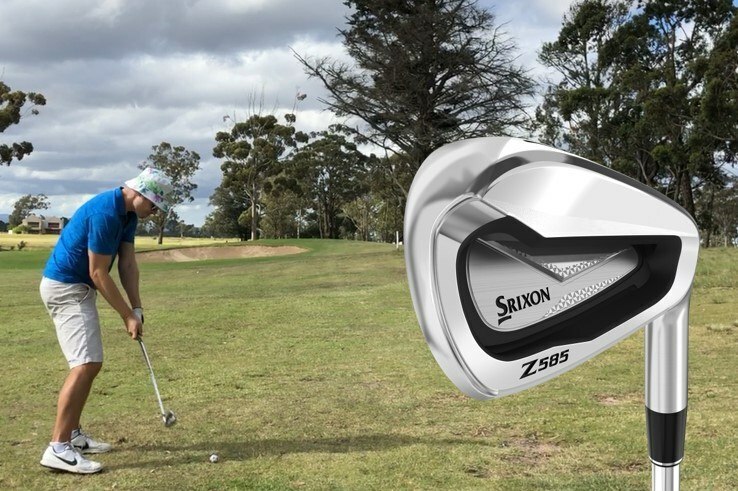 Buying a set of irons is a big investment in yourself and the improvement in your game with a set of mid handicapper Game Improvement irons will be dramatic. There's no need to handicap yourself further with a smaller more concentrated sweet spot unless you're playing 5 days a week. But let's face it, most of us mid handicappers are out there once a week when we get to escape our wives and girlfriends. Two things: shafts and club head design will define the best golf irons for mid handicappers. There are two types of shaft for your irons – steel and graphite. Graphite is popular in drivers and hybrids. For irons, the extra weight offered by steel gives golfers a better “feel” than graphite. The cavity back iron with perimeter weighting has a massive sweet spot because the face is encased with reinforcement through the perimeter weight. ​For newer golfers, it's better to have a really really fat sole but for mid handicappers we are looking for a moderately fat sole. Those Super Max Game improvement irons don't work as well because mid handicappers have much more skill to be able to already get the ball airborne. Noticed on the Mizuno description you have two different versions. 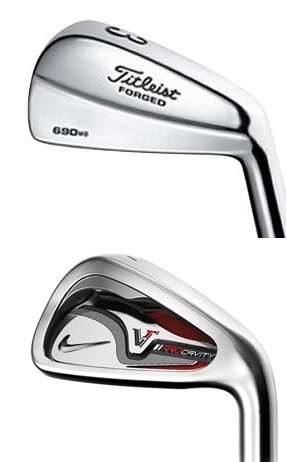 JPX EZ Iron vs JPX EZ Forges Iron. I believe you meant the former but listed the later at the top of the article. just an FYI. Great stuff by the way. I am learning a lot about what I should be using.